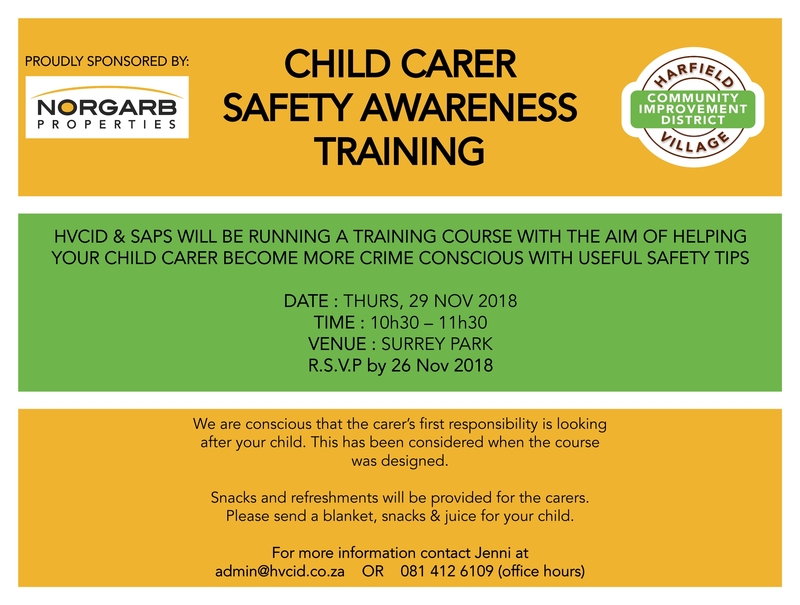 Norgarb Properties is proud to be sponsoring and supporting the Child Carer Safety Awareness Training run by HV CID and SAPS. Child Carers are a very important part of the Harfield Village Community and their safety and well-being is important to us. The aim of this course is to help your Child Carer become more crime conscious with useful safety tips. For more info, contact Jenni at HV CID on 081 412 6109.